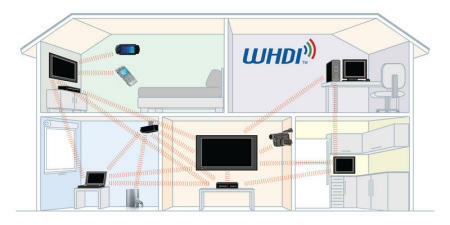 WHDI – does the world need yet another wireless media standard? I’ve written before about various technologies and standards that have been created to enable seamless sharing of media from one device to another, whether it be between PCs and TVs, MP3 players and HiFis, or any combination of any device. 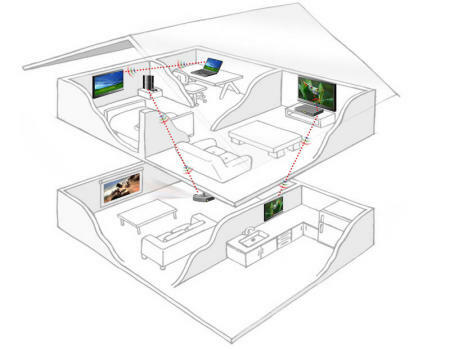 Technologies such as UPnP and its younger brother, DLNA, have all been around for a while now, and each has made the same claim about enabling a wirefree world of digital connectivity in which devices seamlessly share your media throughout your home. And where are they now? No idea! Not in my home, that’s for sure! They would be, but I really don’t have the thousands of pounds needed to buy the devices that come with support for these technologies. This then, is the crux of the problem: the only devices that support these technologies tend to be at the premium end of the market, and that makes them expensive. While they’re expensive, there’s no inventive for the average consumer to buy them, and with no-one buying them, there’s no incentive for other manufacturers to release cheaper devices that also support them. After all, if the demand isn’t there, why add unnecessary technology that isn’t being asked for? Will it work? Will the public want it? Can the companies involved (AMIMON, Hitachi, Motorola, Samsung, Sharp and Sony) make it cheap enough to reach a bigger market than previous technologies? Read the details of WHMI after the jump, and decide for yourselves. Which media streaming technology should you use?